He wanted shovels and trucks for the mud. This will be great. Wish it was a wee big larger.But love the color and seems very sturdy. 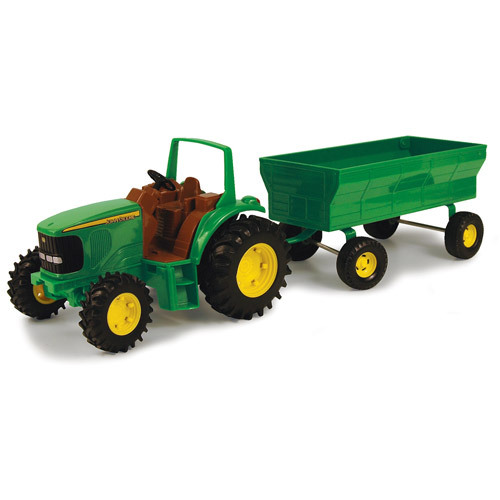 Tbook.com crawls the web to find the best prices and availability on products like John Deere 8" Tractor with Flarebox Wagon Set by ERTL |Steerable Front Axle, Rear Hitch and Die Cast Hood.... This product is one of the more popular items we list which is why it is in our "hot deals" section. If you have any questions on this product, please give us a call at 734-971-1210 during the hours of 9am - 5pm EST for assistance. Thank you for shopping at Tbook.com, the Internet Department Store!